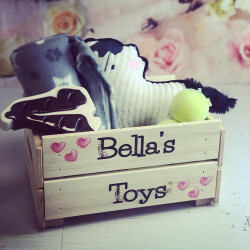 Explore our adorable collection of personalised dog gifts and personalised gifts for dog owners! 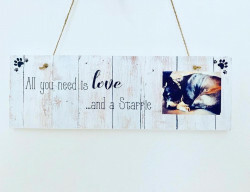 If you have a beloved furry friend or know a wonderful dog owner, then take a look at our range of dog gifts and get the perfect gift for them. 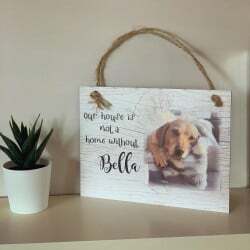 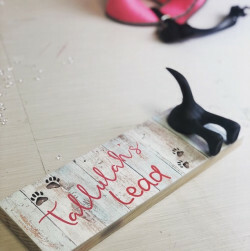 Whether it’s for a birthday, new home, or any other special occasion, we have a wide selection of personalised dog gifts that are suitable for all occasions. 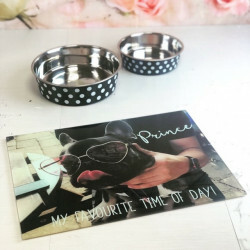 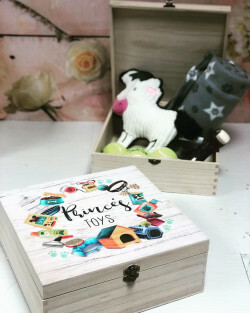 You can find adorable pet gifts from our collection including pet treat boxes, customised plaques, photo dinner mats, dog toy crates, and many more! 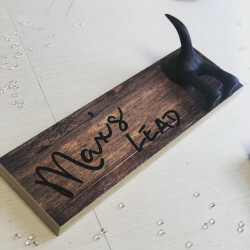 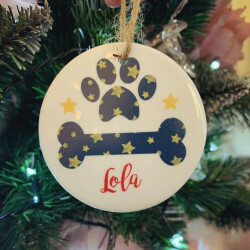 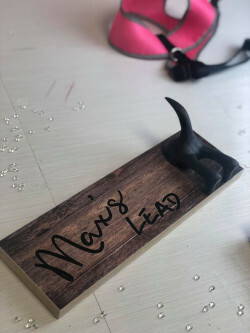 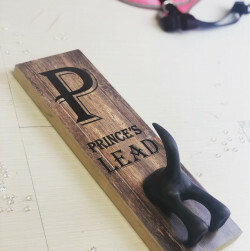 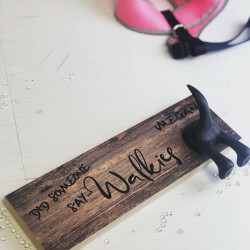 To make your gift even more special and unique, we can help you personalise the pet gift for your adorable canine companion or for a lovely pet lover. 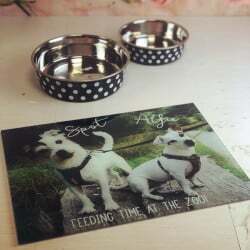 Why Choose Our Personalised Dog Gifts? 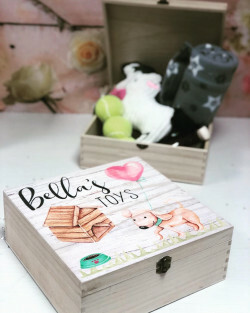 We believe that personalised gifts are often the most meaningful and personal gifts. 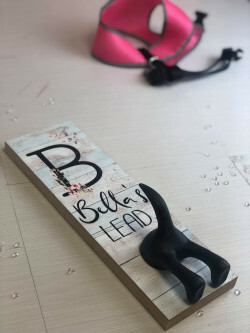 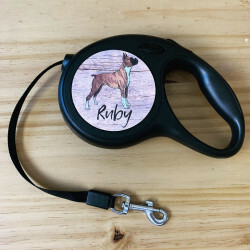 Whether you’re looking for a special gift for your dog or a memorable gift for a dog owner, you can never go wrong with a personalised gift. 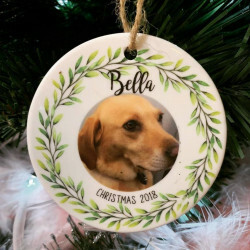 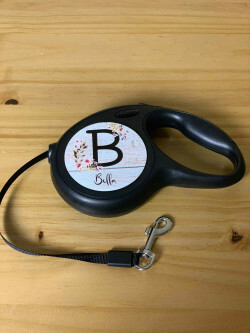 Personalising your pet gift can be as simple as adding a name onto the gift, or depending on the item, you can even add a special message, choose from cute designs, or add your own photo! 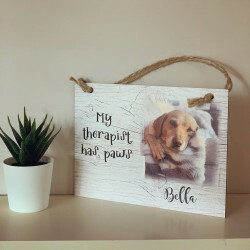 Our cute collection of personalised gifts for dogs and pet lovers has not only been designed to impress, but they have also been treated with care. 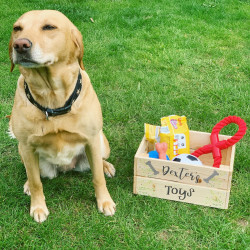 When you order a personalised gift for your deserving canine friend or a pet lover, you not only benefit from our experience and craftsmanship, but you can also take advantage of our UK-wide delivery. 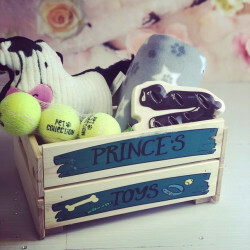 We can deliver your personalised gift straight to your door, wherever you are in the UK.